Bats are a wonderful part of our natural world. They eat insect pests, pollinate plants, and disperse seeds to maintain healthy landscapes. But unfortunately, bats face an uncertain future. Bats today are threatened by industrial activities, habitat loss, and a maligned misunderstanding of their vital roles in our ecosystems. Stereotypes of winged terrors stalking the night make for campy Hollywood horror films, but the truth about bats is by far more interesting and far less sinister. Many people in Texas have fears concerning vampire bats in Texas. As of 2012 there are no vampire bat populations in Texas; furthermore, only a small fraction of bats consume animal blood and even these vampire bats are proving useful to people, as collected vampire bat saliva has medical potential for new blood clotting medical therapies. Bats do not want your blood, but they can use your attention. Currently, habitat loss threatens bat colonies the world over at an alarming rate. With the pivotal services of agriculture pest reduction, seed dispersal, and providing natural fertilizer to millions of acres of land on earth, the need to protect open land, caves, and forests is critically important. Texas has 32 species of bats the most of any state! Thus is it critical that we try to protect their homes whether they live in caves or trees. As the energy needs of growing cities increases, the construction of wind turbines for power also raises problems. It is confirmed that wind turbines cause bat fatalities. Wind turbine installations are often placed in areas frequently used by bats for migration, due to favorable winds (which are usually beneficial to bats). Texas has the largest installed capacity for wind energy unfortunately very little research has been done on its impacts on Texas bats. There are at least ten bat species of bats that migrate or live in Texas that are considered to be a species of concern, threatened, endangered, such as the state threatened Rafinesque’s big-eared bat (Corynorhinus rafinesquii). Fortunately, working together and pairing conversationalists with engineers can reduce unnecessary bat loss by strategically constructing turbines out of known bat flight paths and managing turbine speed. Also, encouraging farmers and ranchers to adopt bat colonies on private and public lands and leave them unmolested can bring benefits in ways of both pest control and directly saving money by not needing to purchase pesticides. People and bats can live harmoniously together. Indeed, we have for hundreds of years in West Texas already! Industry and bat habitat can coexist together and prosper, and with your attention and commitment bats will continue to have home with us all. 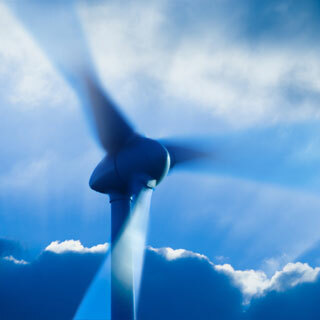 For more information on wind energy and bats explore the following website. The website’s research section contains a helpful list of scholarly publications concerning bats and wind energy. White-Nose Syndrome (WNS) is a disease that has spread westward from New York since the winter of 2007. Named for the white fungus that grows on the faces and wings of infected bats; harmless to humans but deadly to bats, more 5.5 million bats from 19 states and 4 Canadian provinces have died from the disease. 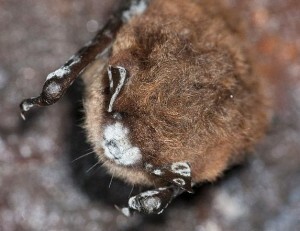 The fungus (Geomyces destructans) causes abnormal behavior in hibernating bats causing them to use up their fat reserves and die of starvation. WNS has not yet reached Texas but it has been detected in our northern neighbor, Oklahoma in 2010. If WNS reaches Texas it could be devastating since our state is home to 32 bat species and the largest bat cave in the world (Bracken Cave near San Antonio).